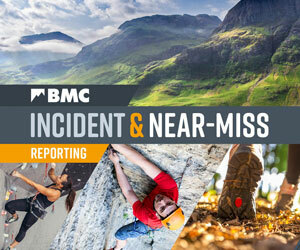 Supported by BMC and MEF expedition awards, Bruce Normand led a team of three Americans for several weeks of successful, exploratory climbing in the remote Chinese Central Tien Shan. Jed Brown, Kyle Dempster, Normand and Jard Vilhauer, together with a small trekking party, approached the broad massif of Xuelian Feng (Snow Lotus Peak: 6,627m), in the restive province of Xinjiang, from the Xiate Valley and Muzart Glacier to the north. Xuelian lies east of, and over the border from, the famous Kyrghyzstan peaks of the Inylchek Glacier, most notably Pik Pobeda (aka Jengish Chokosu, or Tomur Feng in China: 7,439m) and Khan Tengri (6,995m). Last year, Normand, with fellow British mountaineer Paul Knott, and New Zealander Guy McKinnon explored the complex north side of the Xuelian Massif and discovered great potential for big mountaineering ascents. This year's highlight, completed by Brown, Dempster and Normand, was a 2,650m line named the Great White Jade Heist, a steep mixed route with difficulties of M6, WI 5, and rock at about Hard Severe. Sections of climbing were highly runout, and an additional S grade has been mooted, to account for very large amounts of Spindrift hosing. The route climbs a vague prow on the North Face of an impressive buttress that tops out at an altitude of c6,422m on the West Ridge of Xuelian, some distance from the main summit. The climbers found excellent ice climbing in the lower section, sustained mixed above, less than comfortable bivouac sites and plenty of spindrift, some provided by an exciting electrical storm, which passed just a few metres to the side of their third bivouac. The ascent was made in a little over four days, with most of the fifth spent descending the West Ridge. The Heist was the finale of some productive exploration. As part of their acclimatization, Brown and Normand climbed from the west to a point of altitude 6,472m on the North Ridge of Xuelian. This pair then climbed a 1,700m line on the long East Ridge to a point of altitude c6,400m, at the same time as Dempster and Vilhauer were climbing the North Flank of the same ridge. Both parties met simultaneously on the upper slopes and combined forces for the final 800m ascent: a strenuous wallow through deep, rotten snow. Brown and Normand had planned a one-day round trip, but when all four were hit by bad weather during the descent, they were able to cram into a small bivouac tent brought by Dempster and Vilhauer, saving possible frostnip. This was probably the worst weather of the trip, though it was never stable, with some kind of precipitation on most days. Dempster and Vilhauer remained on the upper Muzart Glacier to climb a smaller point at the end of the East Ridge of Xuelian, while Brown and Normand made an unsuccessful attempt to gain a spot height of 6,231m on the North East Ridge. Regrouping at base camp, Brown and Normand spent half a day sorting gear, the only rest-period they got in 11 days, while Vilhauer prudently decided to opt out of further climbing after frostnipping a toe during his last outing. The remaining three then just managed to complete the Great White Jade Heist before their pre-arranged departure date from the range. Dempster and Vilhauer subsequently moved on to Pakistan, where they hope to carry out some late season climbing.